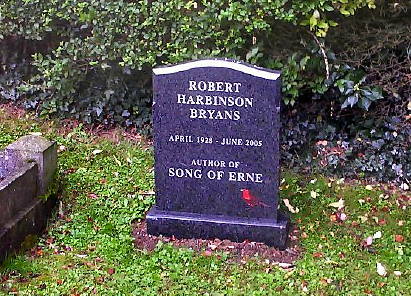 Robin Bryans was born on 24 April 1928, into a Protestant working-class family in the east of Belfast, Northern Ireland. He had an adventurous and colourful life which included working as a cabin boy on a Belfast Lough dredger, shepherding in the Western Highlands of Scotland, studying at Barry Religious College in South Wales, teaching in north Devon, working as a missionary in Canada, diamond prospecting in Canada and South America, hunting and trapping with the Blackfoot and Stony tribes in Canada, working in the theatre, lecturing in Venezuela, travelling to the Windward Islands, Copenhagen, Zurich and Asia, and being chased from Grenada by a hurricane. As explained in Bryans' fourth autobiography, The Protégé, the aristocracy took him under their wing. This new role suited him admirably, transforming him from a Belfast backstreet boy into a 'lifelike toff'. His twelve travel books included Gateway to the Khyber and Summer Saga: A Journey In Iceland, works full of detail, humour and fascinating anecdotes. For his later travel writing, he specialised in destinations influenced by Portuguese culture, as in Madeira, Pearl of the Atlantic, The Azores and Fanfare for Brazil. 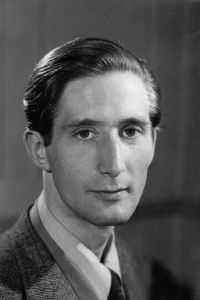 In the sixties his attention turned to his native Northern Ireland and Ulster: A Journey Through The Six Counties revels in the local art and architecture, great country houses with their landscaped gardens, all of which he also pursued in many television programmes, for instance with Ulster Television, which became very popular. Bryans' view on life was refreshingly different from that of any other author, and, combined with his wide-ranging geographic knowledge, and skill at drawing out the characters of the people he met, made his work a treasure trove of human documentary. Classical musicians featured in Bryans' later life - he worked as an opera librettist and created a music school to encourage the work of composers, conductors and instrumentalists. Bryans died on 11 June 2005, after a long illness, but in 2006, his writing was celebrated by no less than seventeen entries in The Ulster Anthology (Blackstaff Press, Belfast).